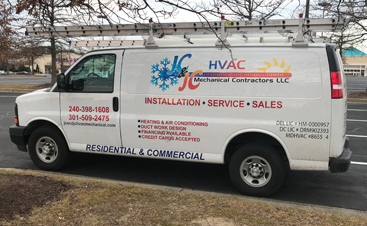 Right around this time of year, when the fall weather starts to get cooler, is when you’ll start seeing ads for HVAC contractors who are offering to clean out your furnace before winter starts. At first you might think, “well, my furnace was working well at the end of last winter. Won’t it work just as well now that winter is here.” Unfortunately, that sort of thinking can invite problems that could have been avoided with a bit of maintenance work, extending the amount of time until you need true heating repair. When it comes to heating systems, we’re more than happy to do preventive maintenance on boilers, furnaces, and geothermal heat pumps. That’s because it’s a service that we know is helping people in many different ways. 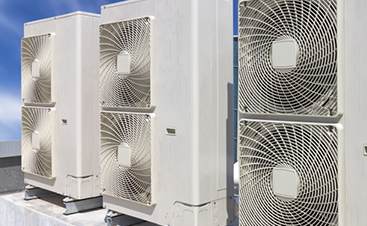 Let’s take a look at multiple reasons you should be sure to call an HVAC company to give your heating system a tune-up. Dust comes from just about everywhere. It blows in through the windows during summer and spring, and then the decomposed leaves of fall turn to dust and is carried in on shoes. The materials in furniture and clothing break down over time (aided by UV rays), adding to the dust in your home. The human body also contributes to the dust in your home, as dry skin cells fall to the ground and feed the dust mites that everyone has in their carpet. All of that dust ends up somewhere. The most common place you think of it going is onto book shelves and other flat surfaces that are seldom disturbed. But those surfaces only show you part of the story, because a fair amount of dust ends up going into the intake vents of a forced-air system. Some of that dust is arrested by your furnace filter, but it can’t all be absorbed. Dust ends up in your furnace, which means that it’s going to end up being blown right back out into your home. If it were just dust on a shelf you had to worry about, that wouldn’t be such a big problem. But for anyone who has allergies, it’s important to get as much dust out of the air as possible. After all, it’s not just dust but also the dust mites and their excrement that many people are allergic to. (Anyone with serious allergies might want to invest in whole-house duct cleaning to clear out the air ducts as well.) When you have your furnace tune-up, we’ll do a thorough vacuum of it so that you’re not recycling your dust throughout your home. Sometimes the failure of a small part is simply the failure of a small part. It fails, you call someone to fix it, and everything is back up and running just fine. Other times the failure of a small part could lead to the failure of a larger, much more expensive part. When you call for a boiler, geothermal, or furnace tune-up, you’re getting your entire system checked out before problems occur. You’re ensuring that those tiny problem of today don’t become the huge problems of tomorrow. It Beats A 2 am Call! There aren’t too many things that are more troubling than waking up in the middle of the night than finding out that it’s 20 degrees colder than it should be in your bedroom. Not only will the cold bathroom floor wake you up, but now you know that something is wrong with your house and will have to call someone. Should you call now? Will the temperature keep dropping until you have to worry about your your pipes? Good luck getting back to sleep. This is something that will happen to every homeowner eventually, but regular heating maintenance can ensure that it happens a lot less often. 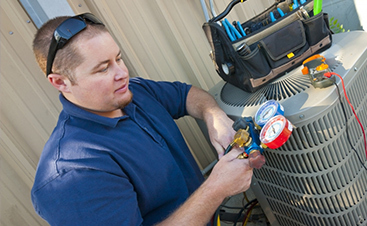 Wouldn’t you rather schedule regular maintenance on your own time rather than having to take off work during an emergency and hope that the HVAC company can accommodate? Geothermal heating units have one very big advantage over natural gas furnaces: they don’t use natural gas. While gas furnaces are clean-burning, there is still that danger of having natural gas pumped into your home to burn. While most homes have carbon monoxide detectors in order to warn a homeowner if the gas isn’t completely burned, there’s always the chance that a pipe delivering the gas got bumped or a seal came loose, causing a low-level gas leak in the house. This could be leading to headaches or worse if the pipe gets bumped again. Checking for gas leaks is something we do with gas furnaces to ensure that your family is kept safe. In the end, we think we’ve made our point pretty well: having inexpensive maintenance repairs taken care of now can save you time, money, and worry in the future. 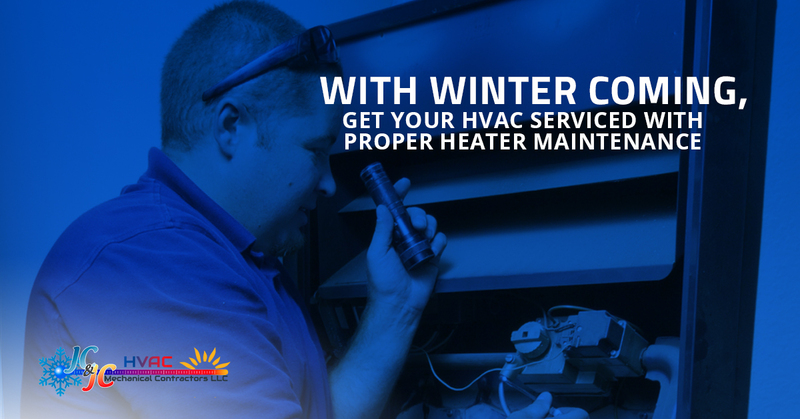 Whether you need furnace maintenance or repair, JC & JC HVAC will make sure you furnance ends up working as efficiently as it possibly can. Schedule an appointment here, or contact us with questions. We’re ready to help you get through the winter and stay warm!